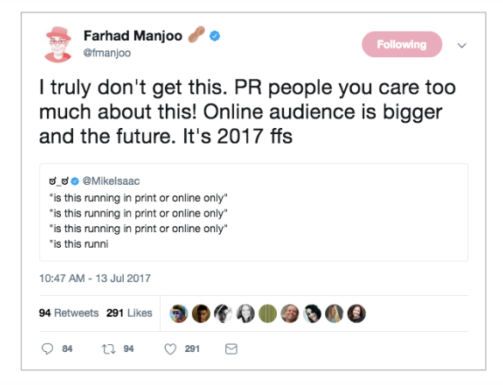 Last week, I was perusing through the AirPR blog, when I came upon a mention of this tweet from Farhad Manjoo of the New York Times. First, that tweet makes me angry. It’s so short-sighted on his part. Clients and executives (though I don’t agree) ALWAYS want to know where it’s appearing. And anyone older than 40 wants it in print more than online. It’s not rational, but it’s fact. So yeah, Farhad, the people who sign our checks want both. At the very least, we have to be able to answer them when they ask. I totally agree online is better (and you can measure it), but that’s not reality for most of us. 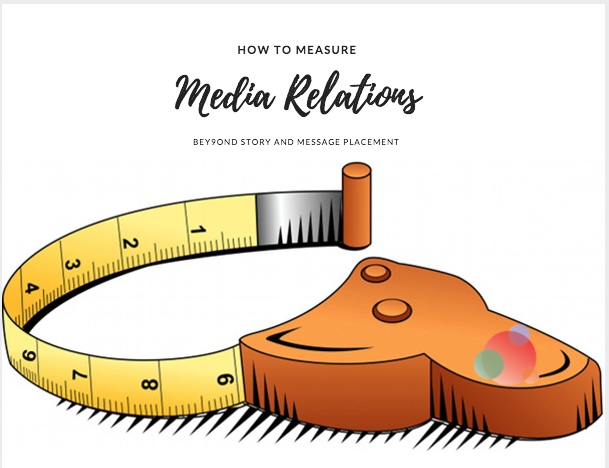 And then I stepped off my soapbox and responded to the actual content of the article, which was about PR measurement. We had a client for many years who always asked if something was also going to run in print. We hated to ask the journalist, but we had to be able to give our client an answer. And, truth be told, part of the reason they are no longer a client is because we had far more success online than in print—and that is not what their founder wanted. It didn’t make logical sense. We were able to prove the online stories were driving serious qualified leads. He didn’t count them because a) he couldn’t hold the story in his hands (or, I guess, send a hard copy to his mom); and b) his sales team didn’t generate the leads. For all I know, those leads are still waiting for follow-up from the company. So you can bet we were asking journalists like Farhad if the story was also going to run in print. It doesn’t make it right—and it certainly is not the future—but it was our reality. Media relations is hard, as you well know. We can’t control any of it, yet most business leaders expect us to work some sort of magic. And, if we do, their phones will ring and their cash registers will sing. 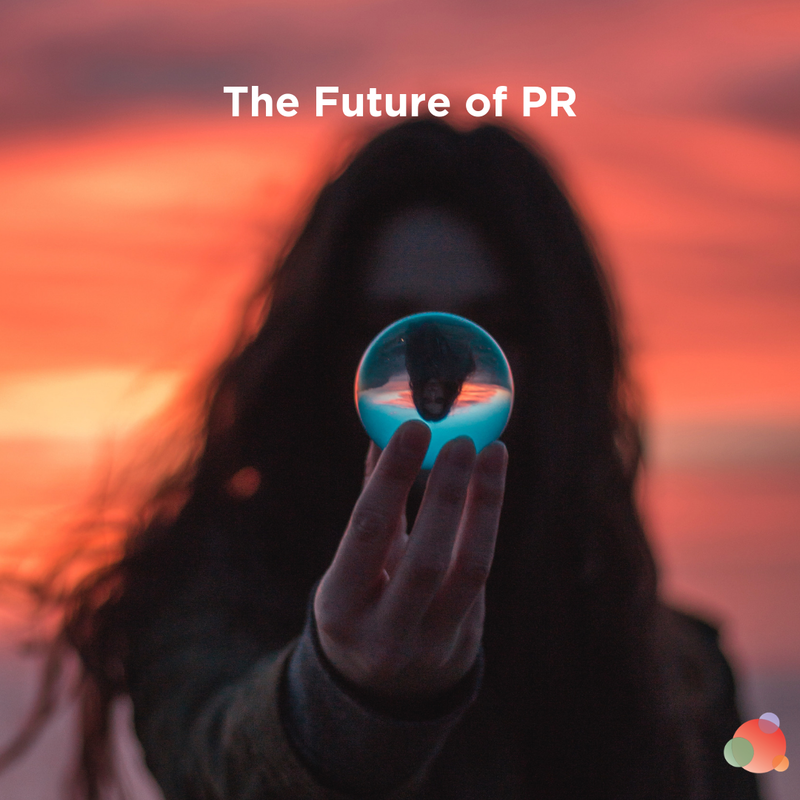 It’s also part of the reason the PR industry has such a bad rap (we won’t mention the hot mess in the White House communications department that is contributing to it). What people know who have worked with PR professionals is they spend a lot of money and can’t quantify the results. 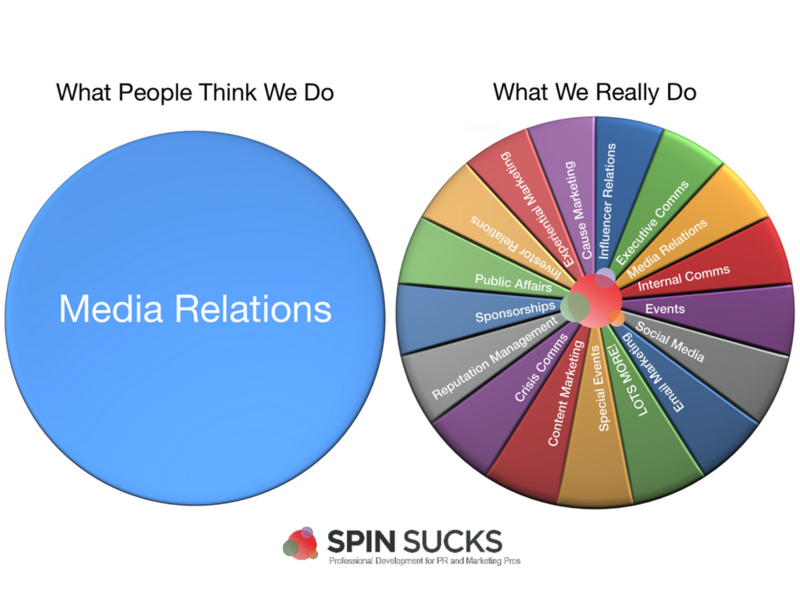 And what PR professionals haven’t done is actually quantify the results. In 2010, I got really angry and announced on this very blog Arment Dietrich is no longer a PR firm. Of course we are still a PR firm, but I drew a line in the sand. If all you want is media relations (which is what most people liken PR to), we are not the firm for you. This happened because I personally had just gotten a client on the front page, below the fold, of the Wall Street Journal. It was an incredible story, with every message delivered and more. And it was on the freaking front page! The chief of corporate communications and I were ecstatic. And it was a significant increase in traffic for nearly a month. The day after that story ran—the very next day—I received a FedEx package from their CEO. 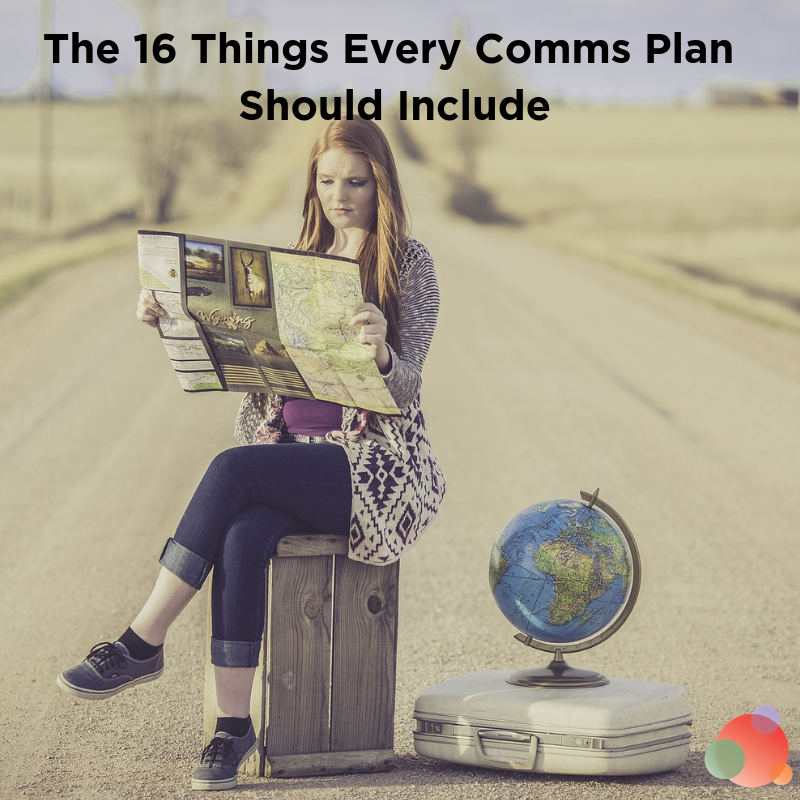 It was at that very moment that I knew we had to expand our services beyond media relations—and we had to prove the work we do achieves business objectives. Not only that, but unless there is something huge happening at the organization, media relations only truly works once or twice a year. To fill in the gaps—to answer the “when can you do this again?” question—I knew we had to offer more. The PR industry is in this weird spot where we are expected to report on media impressions, advertising equivalencies, and fan/follower numbers. Business leaders want to know if the story is going to run in print or only online. Our job is to educate them. Right now, if that’s what they want, give it to them…and more. 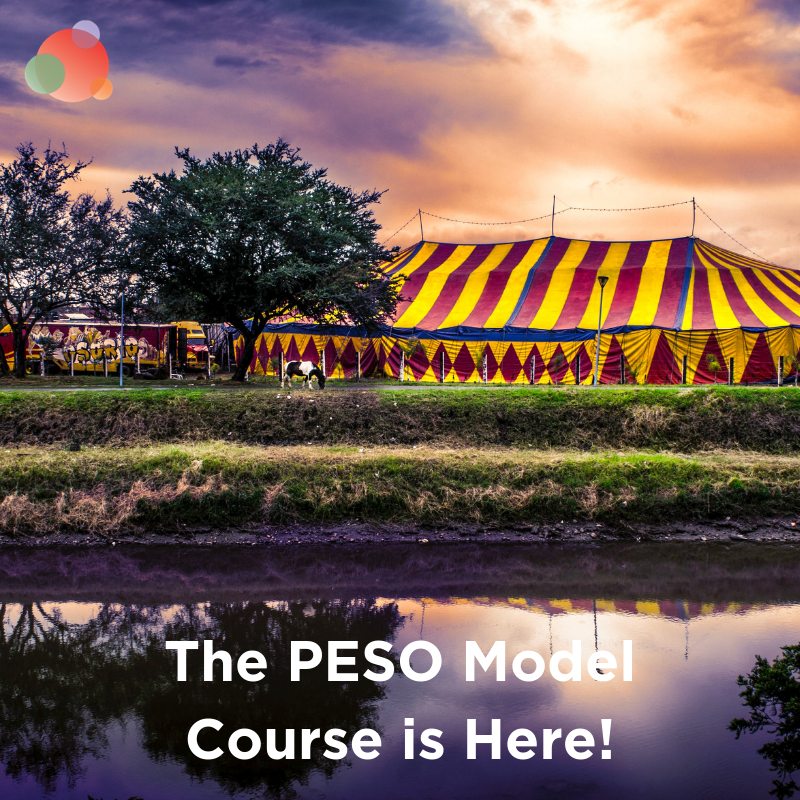 You can find what to measure at every stage of the marketing funnel here and what to measure in a PESO model program here. While you’re reporting on the numbers they expect, you’re also going to give them the numbers that matter. And you can dance a jig (on video, preferably, so you can send it to me) and delete them from your report. Same thing goes for print versus online. You certainly can try for both, but continue to show how online can be measured—and what kinds of results you’re getting with it. It may end up like our former client—and you have to make a decision about continuing that work (or finding a new job). More likely, especially in 2017 and beyond, you’ll never have to answer the, “Is this also going to run in print?” question again.